Tech Spotlight: The Seattle startup wants to put the power to start and run a video-gaming tournament in the hands of gamers. As esports grow — drawing bigger prize pools, tournaments and audiences — esports crowdfunding service Matcherino hopes to be the hub. The Seattle startup wants to put the power to start and run a video-gaming tournament in the hands of gamers. The Matcherino website is designed to give fans, players and organizers an easier way to see, find and fund matches. 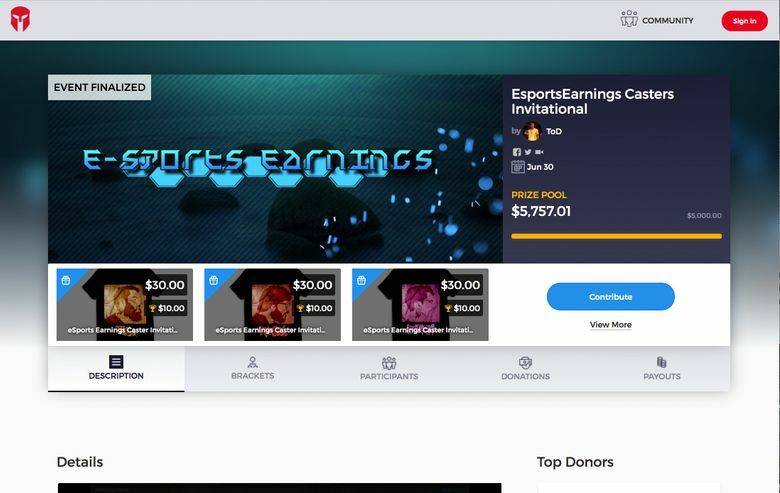 The site simplifies the crowdfunding process for users, who just log in with Twitch — the Amazon-owned video-game streaming service, where fans watch their favorite gamers play — make a deposit with PayPal and then crowdfund various video-game events taking place in person or online. It’s designed to be transparent. Organizers can decide where to direct the funds and fans see where their money is going. Users can also buy products from the website, with the proceeds going to the prize pool. “It’s relieving a lot of the pain points,” said Michael Pinkham, chief marketing officer for Matcherino. The competitive events funded on the site can involve just a few players and fans or up to thousands of audience members watching pro gamers battle it out in a livestream or arena. Co-founders Grant Farwell and Mario Gutierrez launched the service in 2015, feeling there was no easy way to fund the growing esports field. There had been issues in the past that left people wary, including organizers who said they were raising money for tournaments and then disappeared with the funds. Matcherino, which has now grown to house some of the biggest tournaments in esports, takes a portion of the revenue generated by events.